If going to the dentist strikes fear into your heart the first thing to understand is that you’re not alone. For many patients even thinking about dental appointments causes anxiety, and sadly for many, it keeps them from getting the dental treatment they need and deserve. 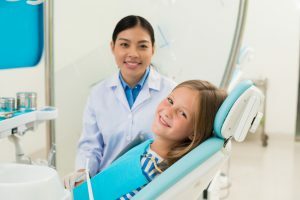 The good news is there are options for patients who are fearful at the dentist that will help you relax and feel at ease at your appointments, so you can get your treatment completed. Your sedation dentist in Islip discusses the facts about nitrous oxide. Nitrous Oxide is a breathable gas administered through a mask that “takes the edge off,” and helps patients relax at the dental office. Nitrous, otherwise known as laughing gas or sweet air, helps patients relax and is even known to make patients feel euphoric and laugh. For dental use, a mixture of 70% oxygen and 30% nitrous oxide is combined when administering the gas. It works quickly, yet also leaves your system quickly too, so you’re able to go back to your regular activities after treatment with nitrous oxide. When Can Nitrous Oxide Be Used? Nitrous oxide is safe enough to be used during any dental procedure from a standard cleaning and check up, to a dental crown procedure. Patients who are anxious or fearful will feel happy, comfortable, and at ease during their procedures when nitrous is used. This allows patients who may not have been comfortable getting their treatment procedures done in the past to confidently have their dental work done, knowing that they’ll be at ease during their care. At East Islip Dental Care, our team of doctors is gentle and caring. We never want fear or anxiety to hold our patients back from getting the dental care they really need. We’ve been using nitrous oxide to help patients through their dental appointments for many years. We’re happy to meet with you to discuss your needs and concerns prior to your appointment so you’ll have a complete understanding of the procedures you’re getting and how treatment with nitrous oxide works. We offer a full range of dental services to patients of all ages, and nitrous oxide is safe for any patient, including children to use. We are also conveniently open 7 days a week with early morning and late evening appointments. Our goal is to be your one stop for all of your dental care and your comfort is our number one priority. Contact us today to learn more about how we can help you with sedation dentistry in Islip.